In an effort to give our shareholders insight into how ethanol is made at Homeland, we are putting together a four part series describing the process. The focus of Part 1 will be Corn, Grain Receiving, Grain Storage, and Grain Cleaning/Milling. ethanol. The germ or “heart” of the kernel is where most of the oil is contained. We recover a portion of this corn oil as a co-product that can be used for animal feed or biodiesel production. 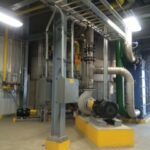 In general, anything else that is not converted into ethanol or recovered in our corn oil stream, ends up as Carbon Dioxide gas (CO2) or Dried Distillers Grains with Solubles (DDGS). 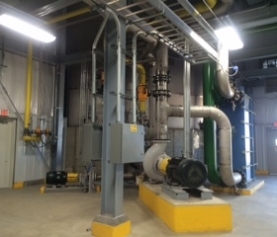 The CO2 is released to the atmosphere and the DDGS is used for animal feed. A good rule of thumb is for every 3 pounds of corn we process, we produce approximately 1 pound of Ethanol, 1 pound of CO2, and 1 pound of DDGS. The majority of our corn is sourced from farmers and elevators within a 100 mile radius of the plant. The majority of our corn is sourced from farmers and elevators within a 100 mile radius of the plant. Until last year all of the corn was delivered to the plant via truck. These trucks weigh in across a scale where their load is probed and graded (quality check for moisture, test weight, foreign material, and damage). They then proceed to the grain receiving building where they unload into either of our 2 dump pits. After unloading, they return to the scale house and are weighed on the outbound scale. While on the scale they receive a scale ticket showing the amount of corn they delivered along with the associated grades. The distance the truck travels once it turns off and returns back to Highway 24 is 2.4 miles. Due to the amount of prevent plant in this area during the 2013 growing season, we purchased some rail corn from the Dakota’s and Northern Minnesota. This rail corn is unloaded in a 3rd dump pit and is purchased based on certified origin weights and grades which means where it was originally loaded. The corn that is unloaded into one of the three dumps pits is conveyed and elevated either directly to the process or into one of the corn storage bins. At the bottom of each elevator leg, the corn passes over a very strong magnet to remove any foreign debris that could create havoc downstream in the process. The plant has the original (2) 500,000 bushel 150’ tall concrete silos. In the Fall of 2013 we added one 1,000,000 bushel 110’ tall steel bin. 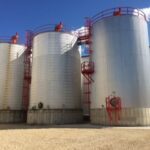 At our current production rates, we could keep the plant running for just over 14 days if all our grain storage was full. 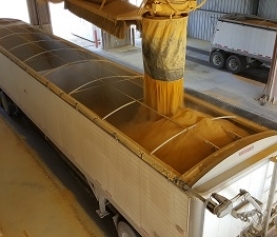 The process continuously needs corn during normal operations which is either fed directly from the receiving operation or pulled out of one of the storage bins if we are not unloading grain. This corn is then gravity fed through one of two rotary scalpers to remove any nonmagnetic debris such as pieces of cob or stalk that may be in the grain. The corn continues to drop down through rotary feeders and across additional magnets to one of six hammermills. 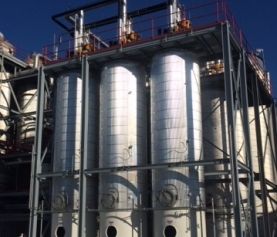 The plant originally had (4) hammermills and in the Fall of 2014, we added two more. Inside the hammermills the corn is ground until it is small enough to pass thru a 4/64” or #4 screen. We call this ground corn flour and it is conveyed to the main process building which we will discuss in Part 2 of the series.